Watching the matches on cable or via live streaming is both easy and affordable. The only real complication comes if you’re trying to watch March Madness from Overseas, in which case, getting access to live coverage might be a little more complicated… unless you keep reading and make the most of our useful tips, that is! This year, Turner Sports and CBS Sports have been given the broadcasting rights for March Madness so live coverage will be available on those channels and their subsidiaries, although the first two matches will only be available on truTV and the final four exclusively on CBS. To access these channels from abroad so you can catch all the action, you’ll need a VPN. We recommend ExpressVPN. *These services are free with cable, and not available in all counties. Not only can you watch NCAA tournament online with Fubo TV, but you can also keep track of all the conference tournaments leading up to March Madness. Fubo TV provides 45 different sporting channels, making it a popular choice for sports fans, and you can try it out for a full seven days without paying a cent. Usually one of the best for live sports, SlingTV has had its hands tied this year after refusing to carry CBS local channels. As a result, CBS isn’t available on SlingTV at all, leaving viewers skipping between Fox and regional sports channels. You’ll still get the coverage on TBS, TNT, and TruTV but you may find it a little sparse, especially given the cost of a SlingTV subscription. A little more expensive than DirecTV, Hulu + LiveTV but will mean you can watch NCAA basketball online all year round on CBS, ESPN, TBS, TruTV, and TNT. You can use Hulu in conjunction with the March Madness Live app and even watch several games simultaneously using the Unlimited Screens Add-on. With PlayStation Vue’s Core plan, you get access to 15+ sports channels with lots of great features. You can even watch up to 5 games at the same time, on your different devices. As with many other OTT TV providers, YouTube TV offers new subscribers a free trial period so you can watch five days of March Madness before deciding whether or not this is the answer to your basketball needs. Even if you have a subscription with one of the online TV channels above or you’ve installed CBS Sports or another app onto your mobile device, if you’re not in the US when the March Madness kicks off, you’re going to struggle to get access to any of the games. The reason for this is big sporting events like this are geographically restricted so that only people resident within the host country can access coverage. Not good for those of you heading to Patagonia to catch the tail-end of the southern hemisphere’s summer or jetting off to London for a conference. Fortunately, there is a way around this problem and stream March Madness live from wherever you are, and that’s with a VPN. A VPN enables you to pick and choose your server so, if your VPN provider has servers in Slovakia, for example, you could connect to one of those and watch the Ice Hockey World Championships in May. Similarly, if you happen to be in Slovakia when the March Madness begins, you could connect to a server in America and live stream the matches straight to your mobile device. In addition to a VPN, you will, of course, need a suitable app, device and a consistent internet connection. The latter of these you can only resolve once you’ve arrived at your destination, but a VPN, we can help you with straight away. Take a look below at our list of recommended VPN providers for live streaming March Madness 2019. Getting free online access to the last 24 games of this year’s NCAA tournament has been made super easy, thanks to the official NCAA website. As long as you’re in the US at the time, you’ll be able to tune into everything from the qualifying rounds to the Sweet 16 and beyond. The only basketball fans struggling to watch the action will be those traveling overseas during the tournament but wait, we have a solution for you guys as well, just keep reading. In the meantime, let’s focus on those who don’t have the luxury of putting their feet up and enjoying the matches at home. Not everyone can rejig their schedules in order to catch all the games and many of us are reliant on mobile devices to keep us up-to-date with the March Madness developments. Fortunately, there are plenty of different apps out there which will give you seamless coverage, including CBS Sports and CBS All Access. The two free apps available from CBS are both compatible with most mobile devices, including Android and iPhone. Although CBS All Access used to a little limited insofar as it didn’t provide live streaming of the NFL to mobile devices, this restriction has recently been listed, making it a more versatile and comprehensive app for sporting enthusiasts. It’s not only CBS apps that give you live streaming access, and you could opt for watching the tournament on the official NCAA March Madness Live app. This is a great option if you have to work during one of the crucial games as this app will also be streaming the live radio broadcast for each of the 67 games. Another benefit is that you can watch the first three hours of action for free! Unfortunately, to view more than that, you’ll have to rely on CBS or subscribe to one of the participating TV channels. Furthermore, depending on the device you’re using, you may also need to login to access the CBS games. If, however, you have a VPN or Virtual Private Network installed on your device, you could sneakily watch more than just three hours of action without paying for a minute. This is one of the many ways VPNs can make your life easier and how it works it that, every time you connect to a website, it will register where that access request is coming from and make a note of your digital identity by using your device’s IP address as the identifier. Live coverage of March Madness is only available to people watching from within the US, which is why we’ll talk more about VPNs when we get to our overseas section but, in the meantime, let’s focus on the benefits it has for US residents. So, we’ve already established that you need to watch from within the US, so that means that, even when using a VPN, you have to connect via a US server. If you opt for a VPN like our preferred provider, ExpressVPN, you’ll have access to 30 US servers, effectively giving you up to 90 additional hours of free March Madness coverage! For those of you who are still living in the dark ages and haven’t yet embraced the joys of a VPN, after your three hours are up, you should be able to get at glimpses of a match’s highpoints and regular score updates via social media. YouTube is a popular site as it often has highlights and other footage updated timeously. Similarly, Twitter, Facebook, and Reddit cover many international sporting events, often with a bit of live streaming thrown in for good measure. If you want to know which international services will be streaming March Madness, we have you covered. If you live in Canada you can tune into TSN and watch all of your favorite games without paying a dime. If you don’t have cable, you can always sign up for an online pass. If you’re spending March Madness in Britain, you should know that BT Sport will exclusively broadcast each game. Note that there is no online-only package from BT Sport. A BT phone or broadband package will mean you can tune in for £9 per month. All of those people visiting Australia during March, your options include Foxtel and Fetch if you have cable. If you do not, your best bet is to watch March Madness on Kayo. The service costs $25 AUD a month, however, they also offer a two-week free trial. So you could technically watch the last 16 games free of charge. All of the channels mentioned above are geo-restricted to their respective countries, so to access them from abroad, you will need to connect to a VPN server in that particular country. If you’ve been contemplating following the trend and getting a subscription to online TV, now is the time! You stream march madness live with high-quality coverage through various online TV providers, including the sporting enthusiasts’ favorite, Fubo TV. Sling TV also has a wide range of sporting channels available on subscription, while Hulu TV, PlayStation Vue, and YouTube TV are also popular choices. With most online TV channels offering limited free trials, ranging from five to seven days, you can always sign up for the final week of March Madness and enjoy the action before canceling your subscription. If you need to get your March Madness live stream unblocked, ExpressVPN resolutely commands the number one spot in the world of VPNs. With death-defying speeds, a global network bordering on the absurd, and a proven no-logging policy, it’s hardly surprising that ExpressVPN is the top dog. Install this powerful software in minutes before enjoying its user-friendly interface and exemplary service. ExpressVPN has been navigating its way around geographical blocks for years and is an old pro when it comes to getting its customers out of sticky situations. Even in countries where the internet has been throttled by overzealous censorship, ExpressVPN will keep you free, connected and secure. Compatible with almost every operating system imaginable, ExpressVPN is a little pricier than some but still provides excellent value for money. Another bonus is that you can enjoy ExpressVPN for 30 days without paying anything, courtesy of its 30-day money0back guarantee. To watch March Madness with ExpressVPN, click here now. Young yet precocious, Surfshark has only a portion of the servers ExpressVPN boasts, but still manages to produce competitive speeds and reliable international connections. Surfshark isn’t just powerful, it’s also versatile so you can use it on a range of devices, including Android, Fire TV, Linux, iOS, and Windows. One of the biggest benefits of signing up with Surfshark is that you’ll be able to connect as many different devices as you want, thanks to their unlimited policy on simultaneous connections. Surfshark’s security is at the higher end of the industry standard, while their privacy and no-logging policies are standing the test of time. Read our full review of Surfshark VPN here. To watch March Madness with Surfshark VPN, click here now. If security and privacy are more important to you than speed, then NordVPN is the obvious choice. Although it can be a little sluggish, this VPN provides you with enough virtual armor that you could withstand a cybernetic meteorite storm. Wherever you go, you can be sure NordVPN has got your back, with over 5,000 servers scattered around the world. While the speeds of certain servers are nothing to write home about, NordVPN is nonetheless reliable and will give you seamless live streaming of March Madness from most international locations. With its extensive international coverage and ability to break through government firewalls, NordVPN is an excellent choice for business travelers and globetrotters alike. To watch March Madness with NordVPN, click here now. If the whole idea of VPN sounds rather daunting, then you can ease your way into the modern age of technology with CyberGhost VPN. Friendly ghosts and an intuitive interface will guide you safely through your digital universe. With CyberGhost VPN you’ll have the advantage of reliable speeds and cutting-edge security protocols coupled with access to streaming-optimized servers that will ensure you enjoy a faultless March Madness experience even if your favored team doesn’t! CyberGhost VPN enables you to choose between connecting automatically to the fastest server and manually selecting one based on its speeds and traffic, which are displayed on the main interface. Suitable for technophobes and beginners, CyberGhost offers just enough customization and freedom to appeal to the more advanced user as well. You’ll get your March Madness live stream unblocked with no problem. Accessible and effective, CyberGhost can take you to the final four! Read our full review of CyberGhost VPN here. 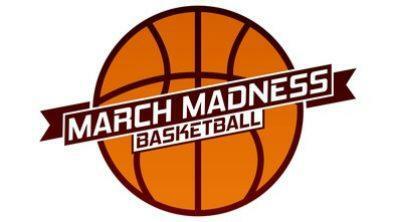 To watch March Madness with CyberGhost VPN, click here now. If March Madness has you getting all sorts of mad because you cannot tune in, think about Hotspot Shield for a moment. This VPN is based in the US and has over 2,000 servers in 25 countries. Not as impressive as some of the other big name VPNs, but their turbo speeds ensure the best streaming possible for your games. What more do you need, right? In fact, they leave a lot of the most reputable VPNS eating their dust when it comes to speed. This VPN service will help you keep your cool during March Madness. The things we most liked about Hotspot Shield include: enhanced transport protocol technology, malware detection, split tunneling, no data or bandwidth limits, 7-day free trial, 45-day money back guarantee and an impressive average speed of 75.50 Mbit/s. Read our full review of Hotspot Shield’s VPN here. To watch March Madness with Hotspot Shield, click here now. As we all know, with basketball you don’t have to know all the lingo to enjoy the game, and the same goes for a VPN. You don’t have to be a computer geek to benefit from the advantages of a VPN and you certainly don’t have to miss out on this year’s March Madness just because you’ll be out of the country. By selecting one of our top VPNs for live streaming March Madness, you can make sure you don’t miss a single hack or hoop from the very first jump ball to the final whistle.